Royal Musings: Yes, Prince Harry is a commoner, according to Common Law. Yes, Prince Harry is a commoner, according to Common Law. Wow, people are getting their knickers in a twist over my statement in a recent interview that Prince Harry is a commoner. Yes, HRH Prince Henry of Wales' legal status is that of a commoner. What do you mean by this, Marlene? Harry is royal. He's a prince. He's not a commoner. In the United Kingdom, the law is based on English COMMON law -- from where we get the word Commoner. The only people in the UK who are not commoners are Peers of the Realm (not their children) and the Sovereign. That leaves everyone else, including princes and princesses, who have not been created peers of the realm. So, yes, Harry is a prince, a royal highness, and yes, a commoner. He's not a peer of the realm. A royal style and title (HRH Prince or Princess) are at the behest of the Sovereign. Parliament legislates. Succession to the throne is by legislation. Queen Elizabeth II cannot change the succession. She cannot bypass Charles and give the throne to William. She cannot abdicate without Parliament passing an Act of Abdication. Edward VIII abdicated after Parliament's legislation, which he signed, thus, giving up his throne. Parliament does not legislate titles. Parliament has not passed legislation that gives all members of the Royal House a special legal status. Yes, Prince Harry has many privileges and responsibilities as a member of the British royal family. But being royal is not in itself a legal status as is a peer of the realm. Yes, in terms of precedence and rank, Harry, as a grandson of the sovereign, has a higher precedence, than the Duke of Norfolk, the premier duke in the Peerage of England. But in law, the Duke of Norfolk is a peer, not a commoner. Children of peers, including the heirs, are commoners as they bear courtesy titles. Nobility is not a legal status. Harry's mother, Lady Diana Spencer, was the daughter of an earl. She carried the courtesy title of an earl's daughter, but she was a commoner -- in law. Her father was a peer of the realm. It is expected that Harry will be given a dukedom on his wedding day. He will become a peer of the realm. He will no longer be a commoner and subjected to COMMON law. The Dukedoms of Gloucester and Kent, in the peerage of the United Kingdom, are currently held by royal princes, Richard and Edward, grandsons of King George V, and first cousins of the Queen. Because of their royal rank, they have a higher precedence than the Duke of Norfolk, but when their titles pass to their sons, Alexander, the Earl of Ulster, and George, the Earl of St. Andrews, the dukedoms will cease to be royal and the new Dukes' precedence will be near the bottom of the list of Dukes, way below the Duke of Norfolk, a title in the peerage of England. Lord Ulster and Lord St. Andrews are commoners. When they succeed to their dukedoms, they will become peers of the realm and cease to be common. The Sovereign cannot be a peer. It is important to remember that commoner refers to COMMON law and is not a reflection on anyone. Princess Elizabeth was a commoner until she succeeded her father. Her husband became a peer of the realm the day before their wedding in November 1947. 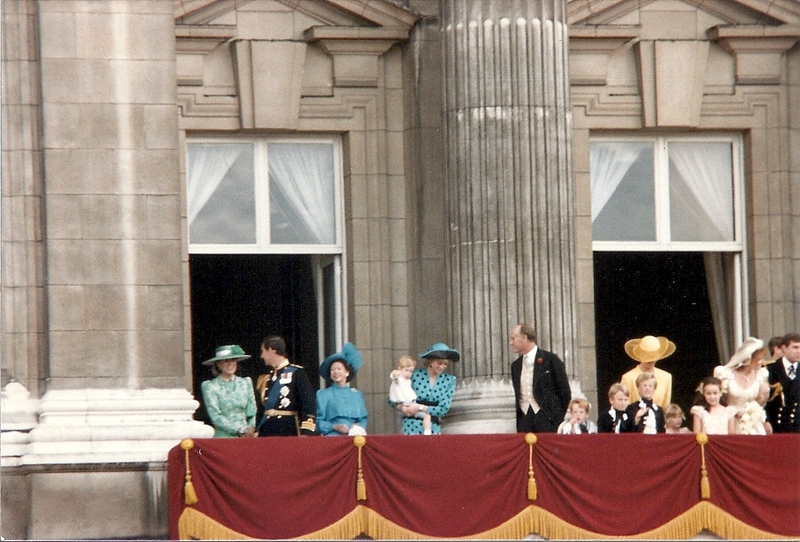 The Princess Royal, Prince Harry, Prince George, Princess Charlotte, Princess Beatrice, Princess Eugenie, Princess Alexandra and Prince Michael are in the eyes of the law: commoners. The Prince of Wales, the Duke of Edinburgh the Duke of Cambridge, the Duke of York, the Earl of Wessex, the Duke of Gloucester and the Duke of Kent are peers of the realm. Being royal may give one a special status in the United Kingdom as a member of the Royal House. But the legal status of royals who are not peers is exactly the same as Mr. Smith. Just remember, we are talking about the law. There is no doubt in my mind that far too many people are confused by the use of the word commoner ... we are talking about the law - and only the law in the United Kingdom. There are no British laws that give a special legal status to someone who is an HRH and a Prince of Princess. There are a lot of perks to being royal, but common law is common law. Here is a good example -- several in fact -- of the legal status of a member of the royal house who is not a peer of the realm. In March 2001, Princess Anne was convicted of speeding in her Bentley, driving at 93mph in a 70 mph zone in Gloucestershire. She was fined £400 and had to pay £30 in court costs. She was also given five penalty points on her driver's license. A Buckingham Palace spokesman stated that the Princess Royal "accepted that she was subjected to the normal rule of law." It did not matter that she was the daughter of the sovereign, a princess. What mattered was that her position as a princess did not provide her with any special status. This was not the first time that the Princess had been in trouble due to speeding issues. In 1990, she was fined £150 and banned from driving for one month due to two speeding offenses. 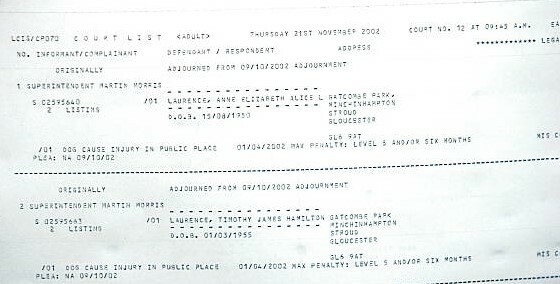 In November 2000, Princess Anne appeared before an East Berkshire magistrates' court in Slough -- in the case of Regina versus Laurence. As in Anne Elizabeth Alice Louise Laurence and not as HRH The Princess Royal. She pleaded guilty to "being in charge of a dog which caused injury in a public place under section 3(1) of the Dangerous Dogs Act 1991." The Princess became the first member of the of the royal family "in modern times," according to the Guardian, to acquire a criminal record. She was fined £500, as well as paying compensation of £250 to each of the young boys who were bitten by her dog, Dotty, and the £148 court costs. Marlene, what about wifes of the peers? For example is Duchess of Norfolk a commoner? And was Princess Elizabeth a commoner during her tenure as The Duchess of Edinburgh? Only the peer is not a commoner. The wife is a commoner unless she is a peeress in her own right. I'll confess my ignorance upfront, but what makes one a "peer?" A peer is a duke, a marquess, earl, viscount and baron ..